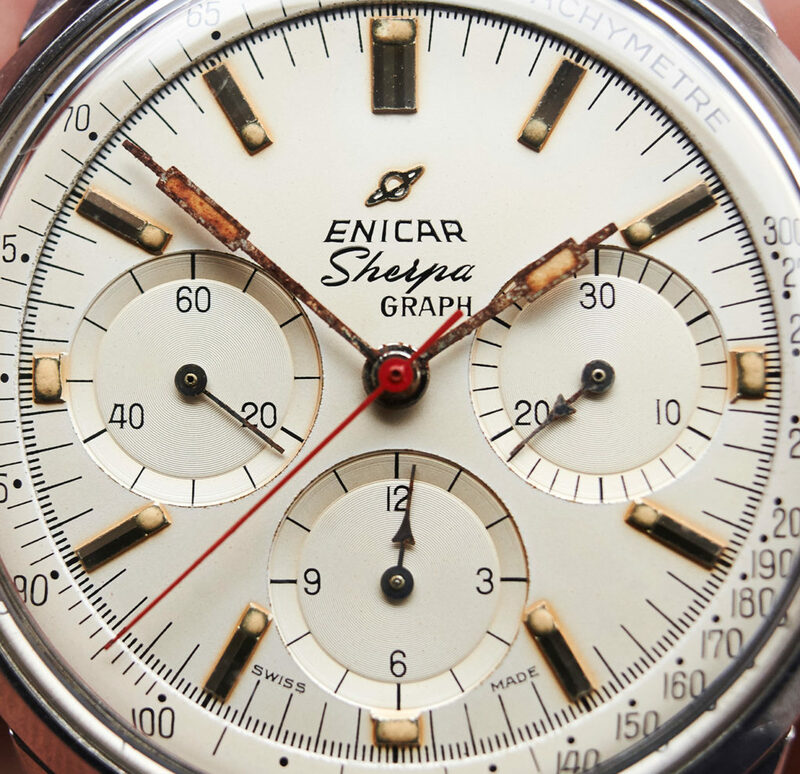 Enicar Sherpa Graph Mk2 "Jim Clark"
white version of the Sherpa Graph Mk2, the so called “Jim Clark”, after the famous Scotsman who had been one of the best Formula-1 pilots in history. 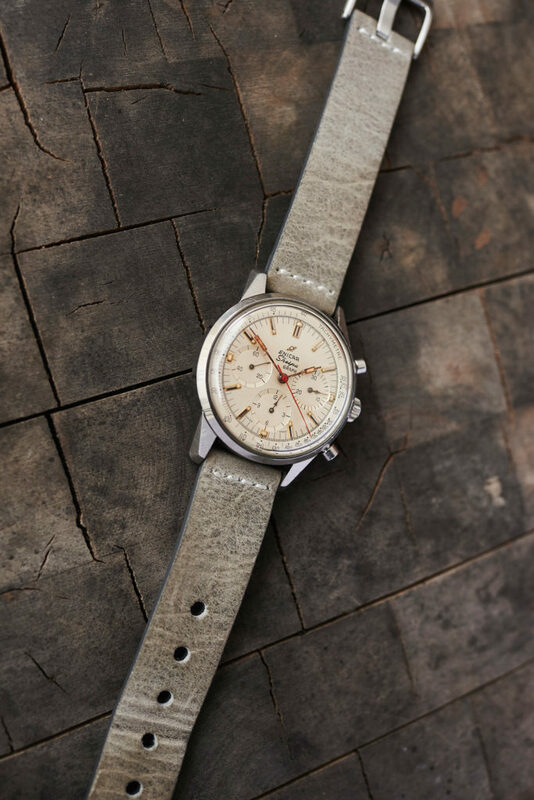 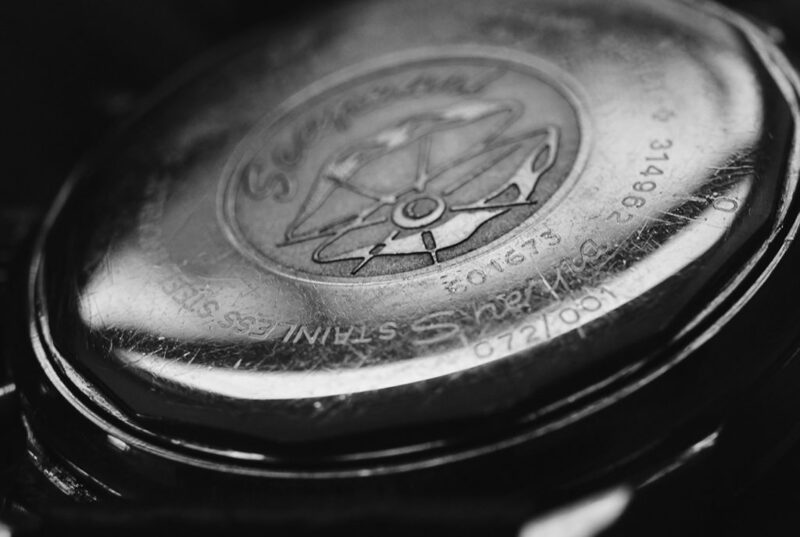 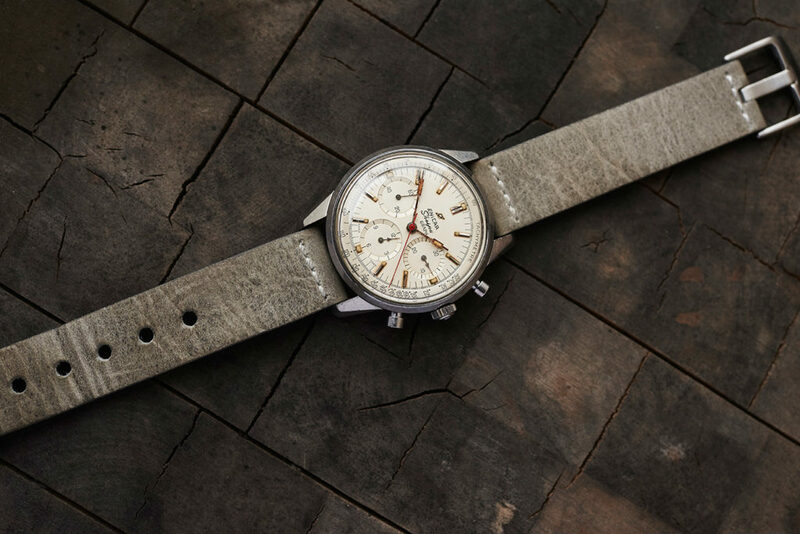 This piece is a full authentic example from the midsixties with a fat unpolished case and clearly readbale serialnumber (6016xx) on the “Seapearl-caseback”. 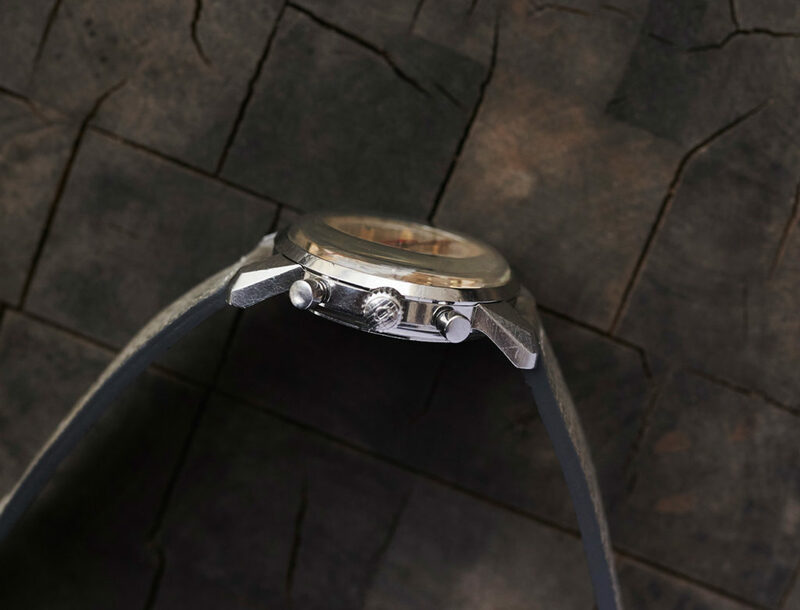 Original lume on the cremewhite dial and in the authentic handset. 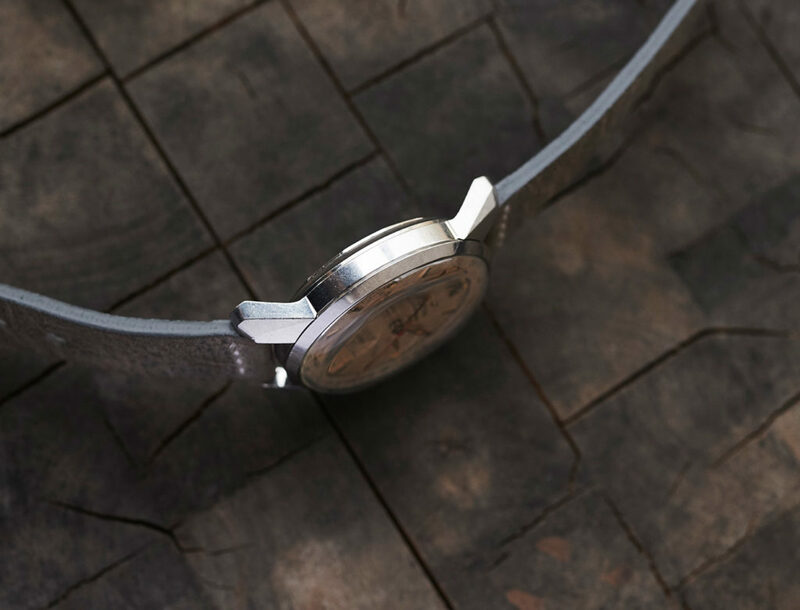 The crown is Enicar-signed, as well as the bridge of the well refined Valjoux 72 movement. 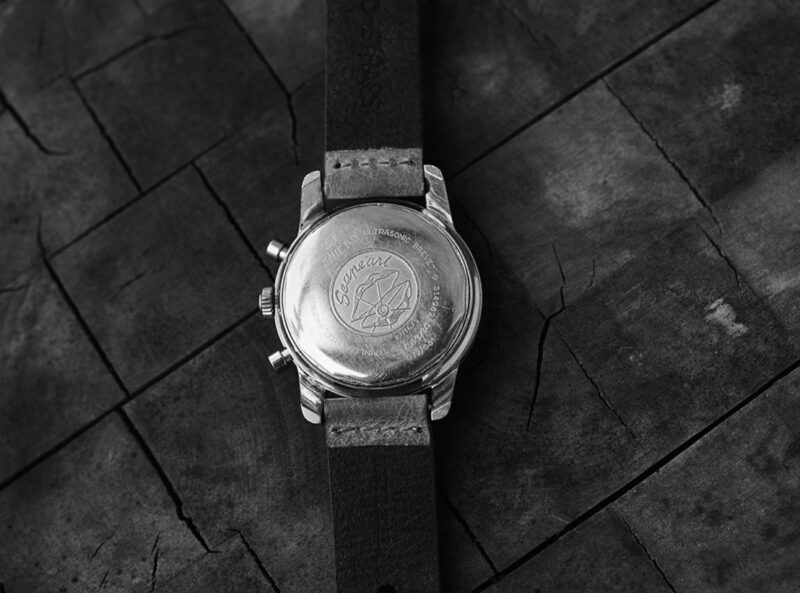 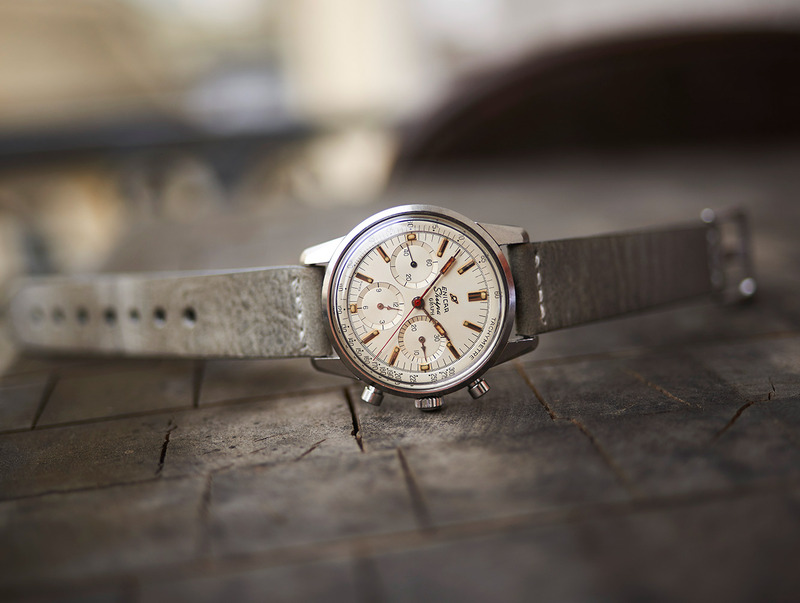 This rare 40mm collectors watch comes on a cool grey leatherband.